We’ve come far since the 1st release of Octomore, and we’re now at the 7th release in this series of the world peatiest whiskies. As all previous iteration of the standard, .1 Octomore, this release is also aged for 5 years in first-fill ex-bourbon casks. Though not matching the levels of the groundbreaking 06.3, this whisky still clocks in at a very impressive ppm of 208, and at an ABV of 59.5%—this is no subtle whisky! 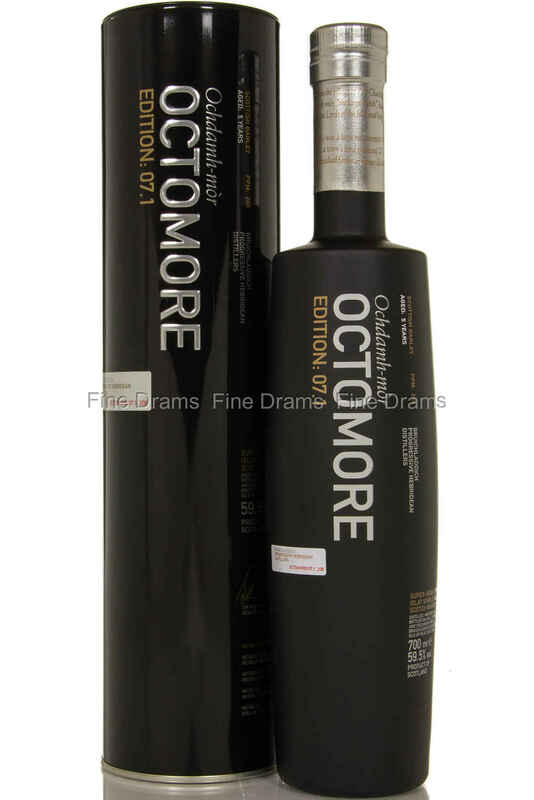 As always, Octomore is not just all smoke, and if you dig underneath the thick layer of peat you will find an array of delicious, bbq-style flavours and aromas. I very high quality whisky made exclusively from Scottish-grown barley.